At the foot of Tiger Cave Hill in Xiaoshan District, Hangzhou city, there is a lake where many black and white swans live. Not long ago, a security officer noticed a curious phenomenon--a black swan held some food in its mouth and fed the gold fish in the water. 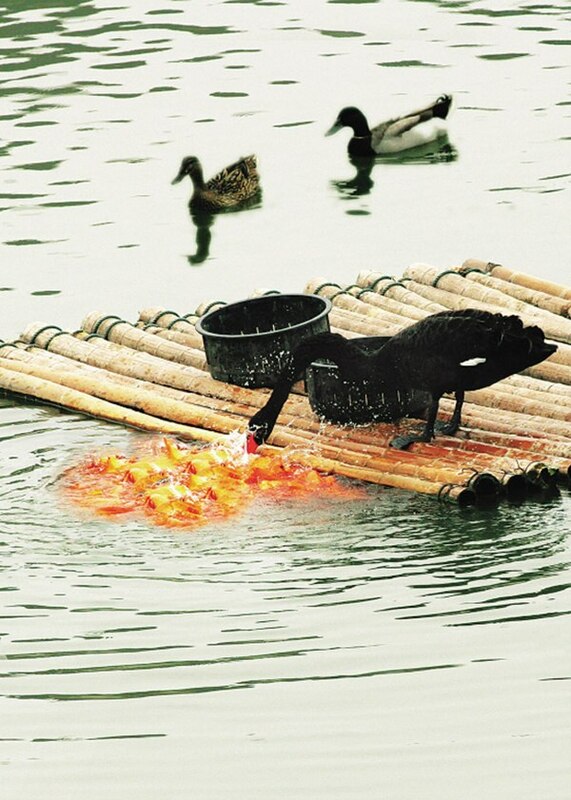 In fact, every morning after ten o’clock, nine black swans in the lake craw onto a bamboo raft to feed the gold fish. After that, they go back into the water and swim away. Having finished their meal, the gold fish swim after the swans as if they were very close friends. Now these swans have become big stars and attracted many people and television stations to come and appreciate this heartwarming scene.